There is rampant dishonesty throughout the legacy media, but perhaps there is no news outlet as dishonest as CNN — and blatantly so. And the network is citing one of the most profound hate groups in the country in order to make its overly broad accusations: The Southern Poverty Law Group. “Here are all the active hate groups where you live,” said the CNN wire story headline on Chicago’s WGN-TV website. The article listed the 917 organizations on the Southern Poverty Law Center’s much-disputed “hate map,” which names racist groups like the Aryan Nation alongside mainstream conservative organizations such as the Alliance Defending Freedom and the Family Research Council. Dacus’ conservative organization, which is based in Sacramento — in the Deep Blue, Alt-Left craziness that is California — pursues religious liberty cases; his organization was on the CNN list right below the Pacific Coast Knights of the Ku Klux Klan. Many other conservative organizations were equally outraged and called on the Fake News Network to pull the article. Often, in the past, conservative groups have called out a number of legacy media outlets for their inaccurate — and some believe purposefully — false characterizations of them as hate groups. They say not only are such designations wrong, but they put members and employees at risk for violence. The Liberty Counsel sued charity tracker GuideStar for defamation after the latter added the SPLC tag to its list of non-profit organizations. Later GuideStar removed the labels but said information would nonetheless be available on request. 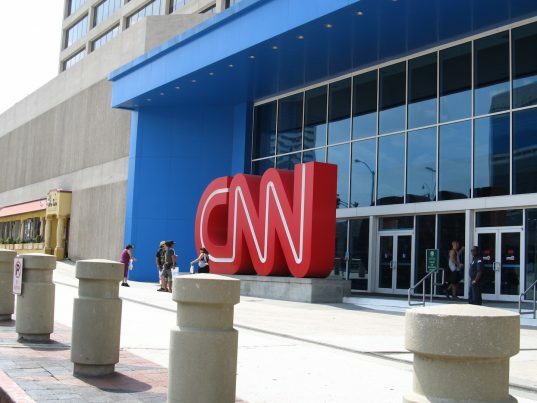 “Using the Southern Poverty Center as a source for information shows that CNN is not interested in reporting news but rather creating scandal and security threats,” Staver told the Times. Then again, neither CNN nor the SPLC is interested in fairness or honesty — they seek only the complete and utter destruction of political opponents. No wonder our country is tearing itself apart.